Robert V. Neault, 98 of Elkhorn, WI, passed away on Thursday, February 7, 2019 at Kindred Hearts in Elkhorn. He was born October 17, 1920, the son of the late Claude and Mable (Archie) Neault. Robert was united in marriage to Yvonne “Bonnie” Neault on October 4, 1959 in Delavan, WI. After 58 years of marriage, Bonnie preceded in death on April 21, 2018. Robert served in the United States Army Air Corp. during WWII. He was active member of the Seventh Day Adventist Church in Delavan, WI. 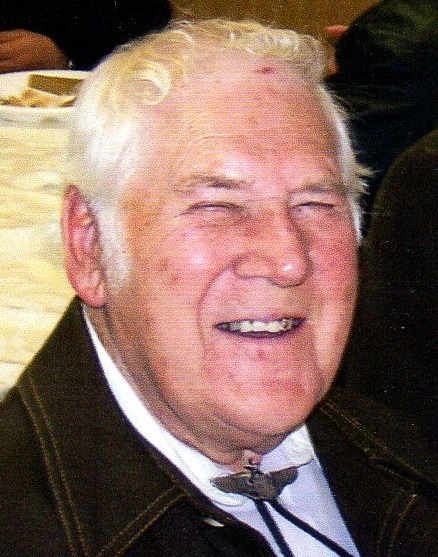 Robert had a love of planes and was a member of the Experimental Aircraft Association. Robert is survived by his three children; Holly (John Zinzow) Neault, Bob (Debbie Binstock) Neault and James Neault and his three grandchildren; Cassie Zinzow, Clark (Maggie Wantschik) Zinzow and Troy (Kendra Larsen) Neault. He was preceded in death by his wife, Bonnie, parents and siblings. Private services will be held at Hazel Ridge Cemetery in Elkhorn, WI. In lieu of flowers, memorials may be directed to Fellow Mortals, W4632 Palmer Rd. Lake Geneva, WI 53147. Online guest book at www.haaselockwoodfhs.com. Arrangements for Neault Family completed by Haase-Lockwood & Associates Funeral Homes and Crematory.